The BAE Armoured Multi-Purpose Vehicles (AMPVs) are intended to replace the existing fleet of M113 IFVs with the US Army. Image courtesy of BAE Systems. 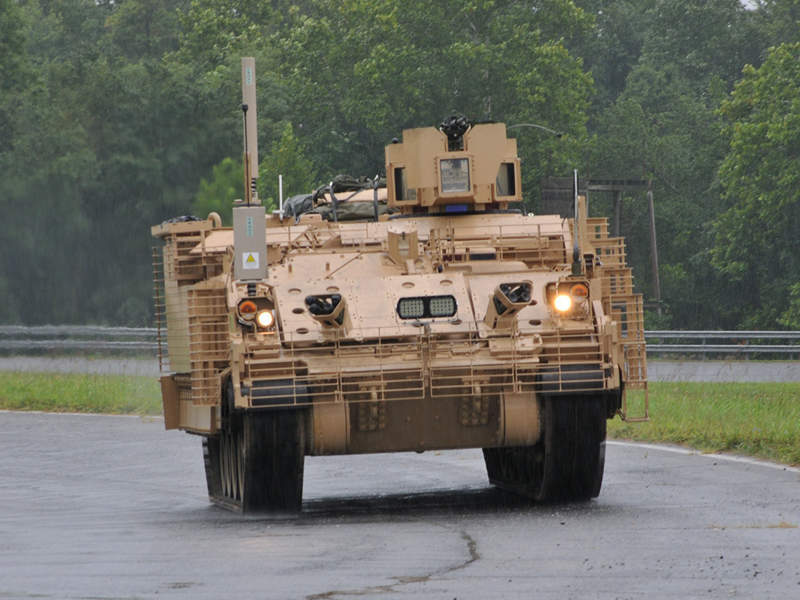 The vehicle was designed and developed by BAE Systems. Image courtesy of BAE Systems. The US Army took delivery of the first prototype of the AMPV in December 2016. Image courtesy of BAE Systems. The vehicle is expected to enter low-rate initial production (LRIP) in 2019. Image courtesy of BAE Systems. 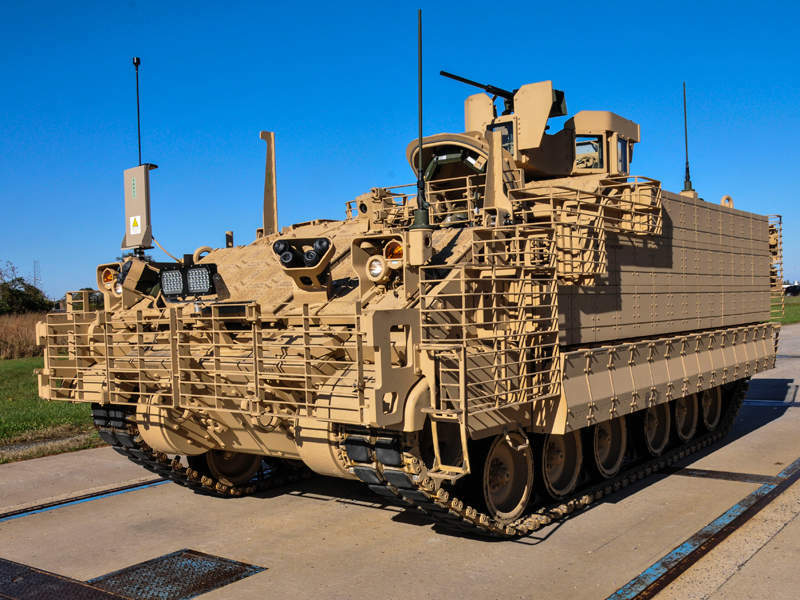 BAE Systems secured a contract from the US Army for the engineering, manufacturing and development (EMD) and low-rate initial production (LRIP) of the vehicles in December 2014. Under the LRIP contract, BAE is responsible for the development of 29 AMPVs under the EMD phase and production of 289 vehicles in multiple configurations. The first prototype in general configuration was presented to the armed forces in December 2016. The vehicle combines mobility features with advanced technologies to enhance survivability of the occupants in the battlefield. The AMPVs are expected to be deployed by the Armoured Brigade Combat Team (ABCT). BAE successfully concluded the critical design review (CDR) of the new AMPV in June 2016. 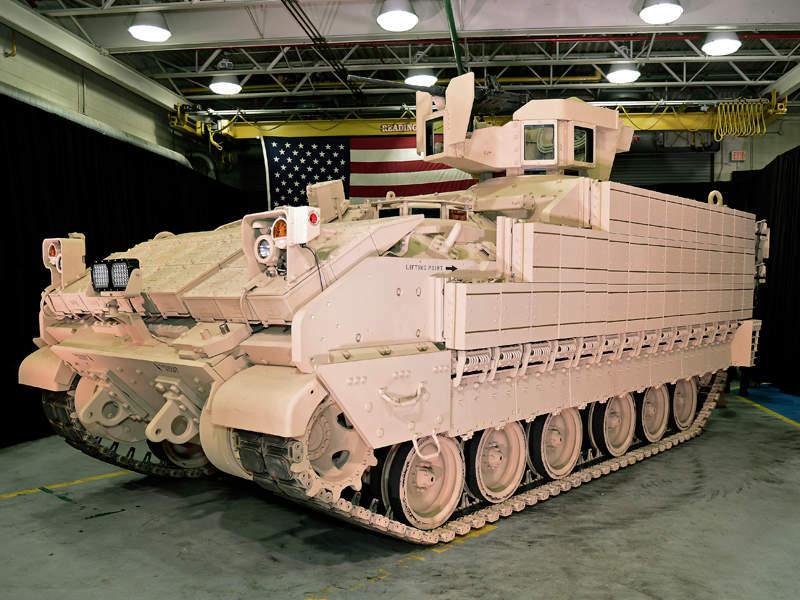 The US Army took final delivery of the AMPVs built under the EMD phase in April 2018. The vehicles will undergo strenuous testing in the next phase of development. The availability, maintainability, logistics and mission reliability of the vehicle will be tested during the phase. The vehicle will then enter the Milestone C review phase, followed by the LRIP phase in 2019. BAE AMPV is based on the design of Bradley infantry fighting vehicle (IFV). It retains the layout of Bradley IFV, but incorporates a one-man open-top turret. The driver’s compartment and engine are located at the forward hull, while the troop’s section is positioned at the rear. The rear hull of the vehicle features a hydraulic ramp, which allows rapid entry and exit of troops. The general-purpose configuration measures 3.7m-wide and 3.1m-high, and offers a ground clearance of 0.4m. The gross weight of the vehicle is approximately 36,000kg. The BAE AMPV can be customised into multiple configurations based on the mission requirements. It is being developed in five variants, namely general-purpose vehicle, medical evacuation vehicle, mission command vehicle, mortar carrier vehicle, and medical treatment vehicle. A sixth variant of the vehicle will also be developed to replace the engineer variant of M113 vehicles at Echelons Above Brigade (EAB). The engineer vehicle variant will provide advanced combat capability to the combat engineers at EAB. The general-purpose vehicle can be used for the transportation of troops, supplying equipment and goods to the forces and carrying casualties from the battlefield. 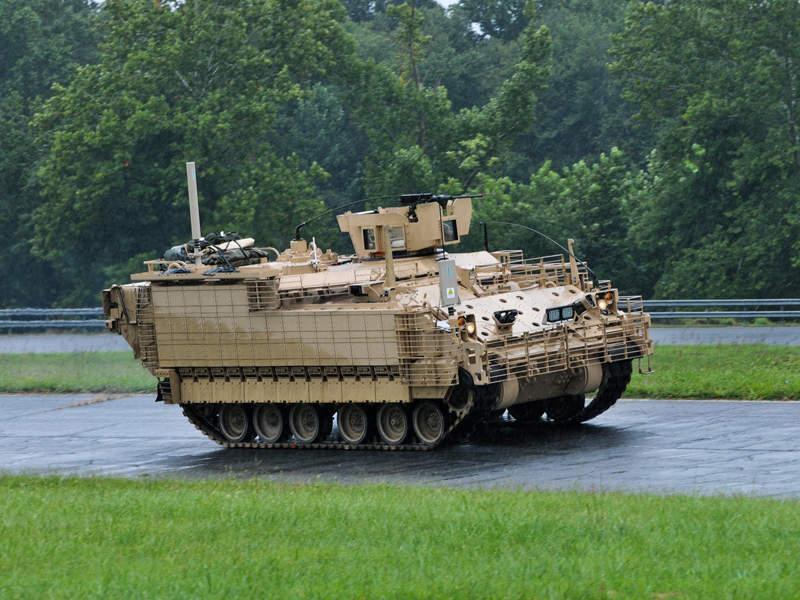 The variant can carry a maximum of six personnel, including a driver, a commander and four infantry troops. The medical evacuation variant of the AMPV was exhibited at the AUSA 2016. It can carry three crew, six ambulatory patients or four litter patients or three ambulatory and two litter patients during casualty evacuation (CASEVAC) operations. The one-man open turret of the AMPV can be installed with a roof-mounted protected weapon station housing 7.62mm or 12.7mm machine guns, or a 40mm automatic grenade launcher. The all-welded aluminium hull integrates enhanced underbody protection for increased survivability. Explosive reactive armour sheets fitted in front and either side of the hull offer protection against grenade launchers and guided ammunition. Applique armour and spall liners on the crew compartment further enhance the protection level offered by the vehicle. The crew and engine compartments feature an advanced automatic fire suppression system. The BAE AMPV is powered by a Cummins diesel engine, which offers a maximum power output of 600hp. The fuel tanks are stationed at the rear of the vehicle. The vehicle is expected to attain a maximum speed of 61km/h and maximum range of 362km. The on-board suspension system ensures smooth mobility of the vehicle while traversing through rough terrains. This project forms part of our recent analysis and forecasts of the global armoured vehicles and counter-IED vehicles market available from our business information platform Strategic Defence Intelligence. For more information click here or contact us: EMEA: +44 20 7936 6783; Americas: +1 415 439 4914; Asia Pacific: +61 2 9947 9709 or via email. Koza Construction and Defense Industry supplies training centres and shooting ranges to military, police, and special forces, offering a number of alternative solutions for specific purposes.